The Vajra Periodic Table lays out according to electron orbitals and thus gives insights into the electron structure surrounding the nucleus. The nucleus organizes with different rules and thus a different periodic table is needed to visualize the nuclear bindings. 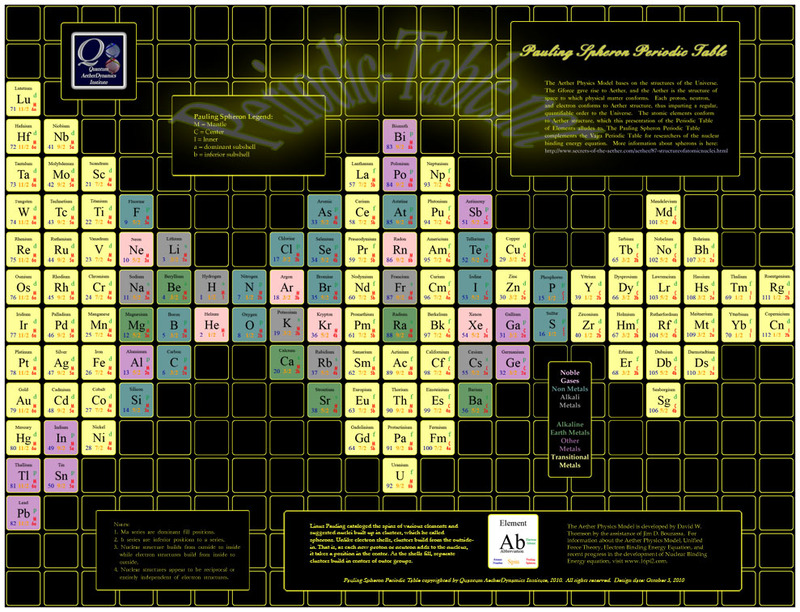 The Pauling Spheron Periodic Table was designed for visualizing the nucleus. Click on the images to see larger views. 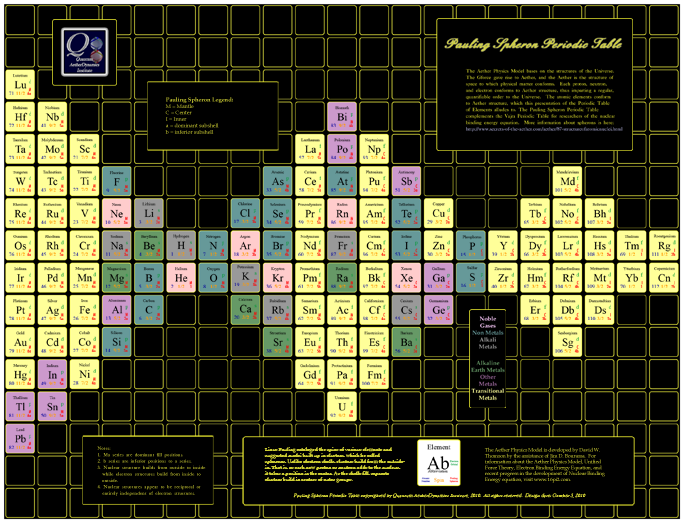 Print versions of these periodic tables can be ordered in various sizes at Zazzle. The image quality in the print versions is razor sharp. 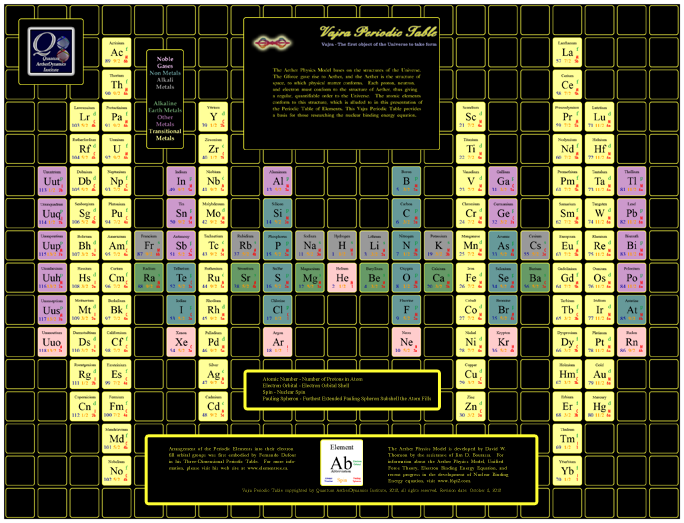 For more discussion about the Vajra Periodic Table, click here. 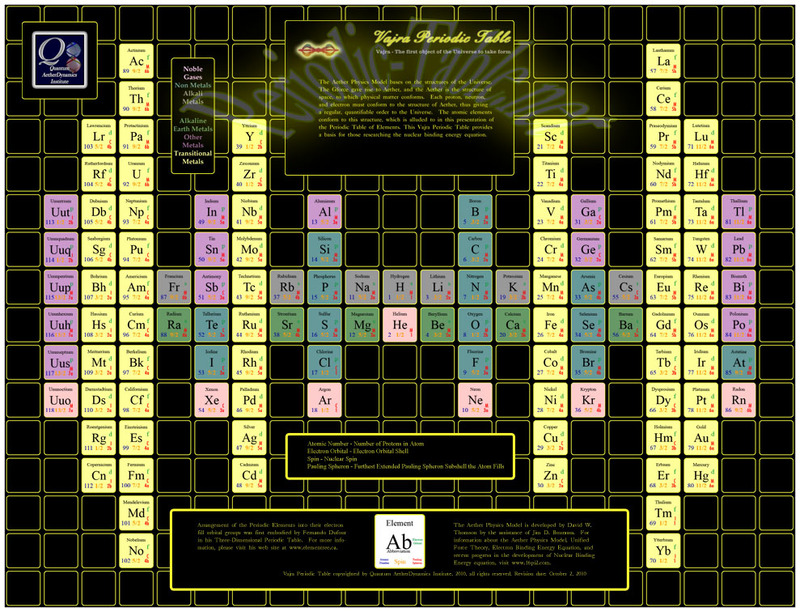 For more discussion about the Pauling Spheron Periodic Table, click here.